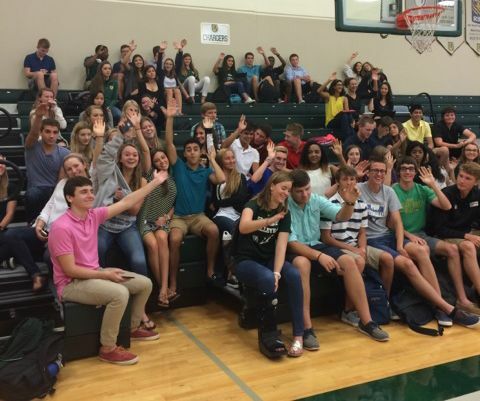 Shorecrest Upper School's Interact Service Club met to plan service opportunities for first semester. This Saturday, September 19, club members will be volunteering at One Step Closer to the Cure, the ovarian cancer race, to help pass out water to participants. We'd like to see a strong showing at this event to support Team McNeill. In October, club members will participate in an event at the St. Pete Free Clinic packaging food and also host a car wash. Interact members will manage the concessions stand at the Shorecrest Homecoming Powder Puff Championship on October 22. On November 6, Interact members will be cooking and serving dinner at the Ronald McDonald House.